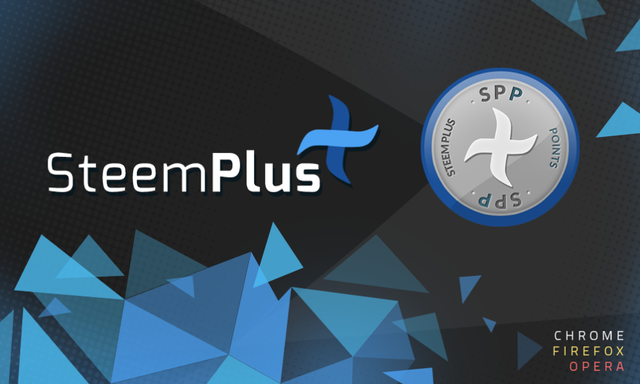 Until now, one had to use the Chrome Foxified plugin to use SteemPlus on Firefox. It was a pain to use and required every update to be done manually. Moreover, it recently stopped working, apparently, so we decided it was time to properly support the Firefox users and make the extension available on the Store. After some changes in the code, here it is : SteemPlus for Firefox. Please help us rate the extension! I'm wondering is "Sisappearing" is a technical term when things disappear six times in a row? I was thinking you were missing instructions for install, but no, it's just that simple. I see one more step for a https world. I would love to say more comments are always welcomed and that you need to show your code in the post, but css is harder to showcase. Surprise me! I actually mistakenly used the utopian-io tag. Thank you for your review, @helo! A must for all Steemians! Seriously! Take Steemit to another level! Je suis trop content. J'attendais la version Firefox depuis toujours. Es-ce qu'il n'y avait pas un moyen de voir tous les postes d'un account dans un timeline? Good new. Recently figured out how to stop (limit) Chrome hogging so much memory, but have always had FF running because the good addons have worked better on it. We ll keep pushing updates on both stores from now on. Excellent. Just installed it on Firefox for another account of mine! Works perfectly! Good news for Firefox users. Thanks for this development. Awesome! Are you guys also working on adding this to the Brave browser? In anycase, anything that moves me away from Chrome is a good thing. I'm really trying hard to get myself from being under the microscope of big corps. I ve tried and it should work directly on Brave. The thing is that we don t really support the different style that s used on mobile devices. That is awesome I have used Firefox for many years and I believe still a lot of people use it. Great job. Good one as i really like this feature disappearing scrollbar . Good one keep it up.